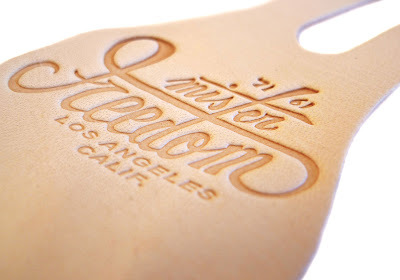 Here's a neat little item from the latest Mister Freedom collection! 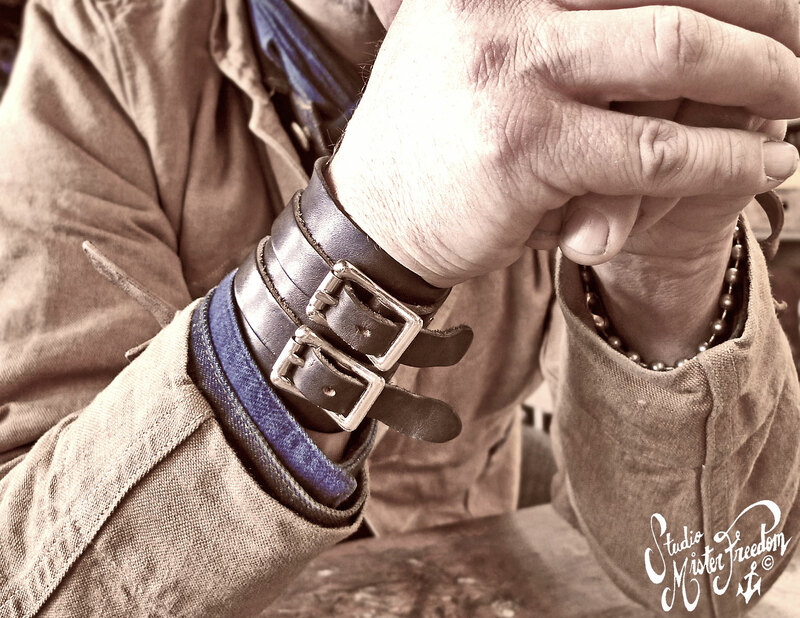 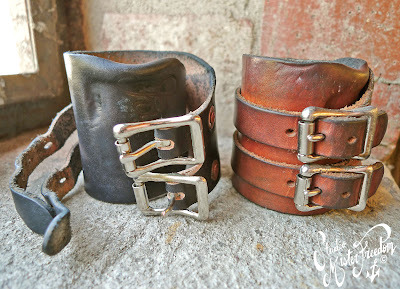 Hand made in California, this leather cuff comes in both natural and hand dyed black. 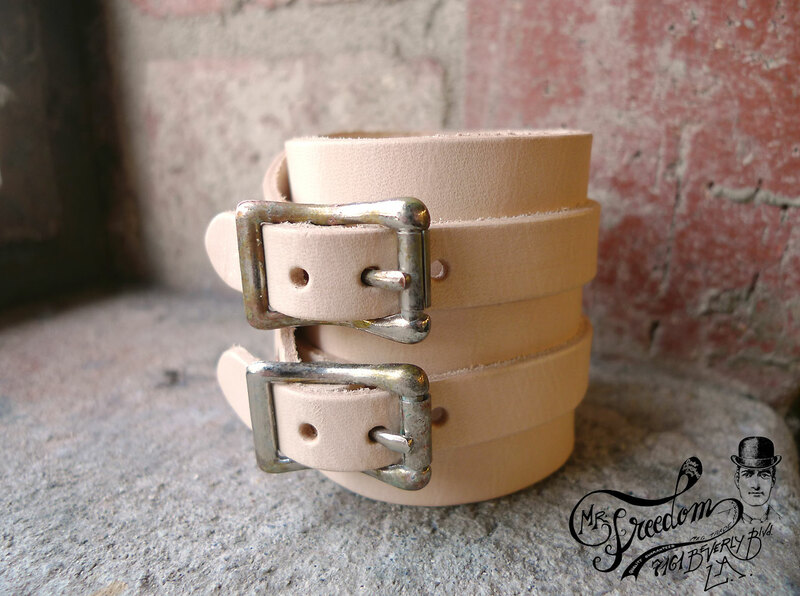 You'll have to do the breaking in yourself as they do not come pre-distressed.